The Chloe is an adventure in Bohemia on your wrist. 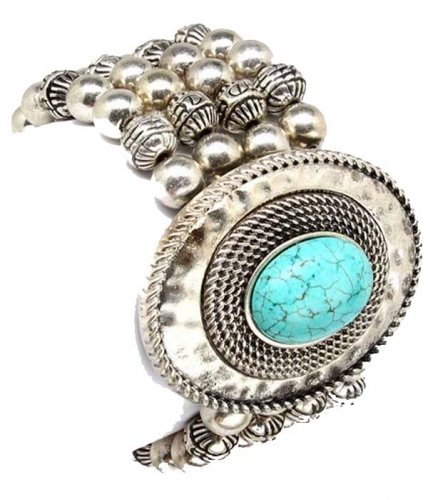 Featuring an arrangement of intricate silver Tibetan beading on a cast metal cuff bracelet, pronounced by the presence of a smooth turquoise-like cabochon. For the girls with restless hearts, this piece is for you. Feel confident when you buy jewellery online at Oz Bling. Quality is guaranteed with our hassle free exchange policy.